Make your voice heard on the issues that matter most. 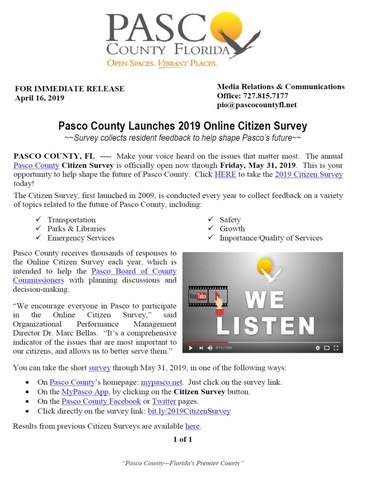 The annual Pasco County Citizen Survey is offically open now through Friday, May 31, 2019. This is your opportunity to help shape the future of Pasco County. Go to: http://www.bit.ly/2019CitizenSurvey to take the 2019 Citizen Survey today!